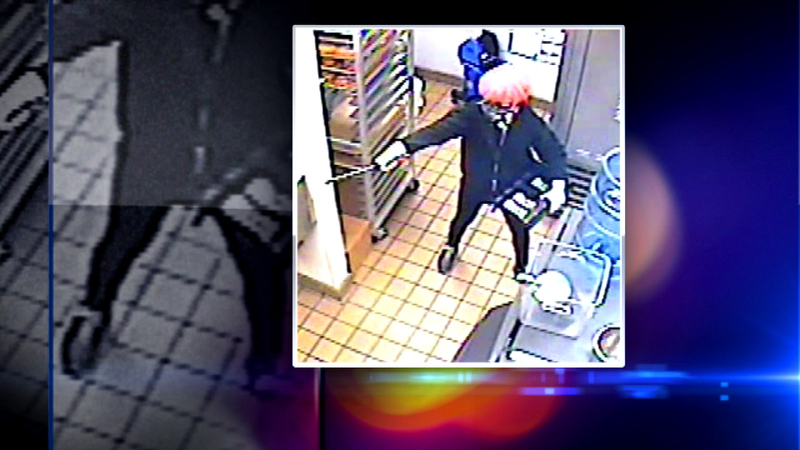 Lyons police say a man robbed a Dunkin' Donuts on Odgen with a small sword last week. LYONS, Ill. (WLS) -- Lyons police say a man robbed a Dunkin' Donuts on Ogden with a small sword last week. The man apparently entered the store through a back door, grabbed a cash register tray sitting on the counter and then ran off.